I’m on the list twice, but my order is 2 nichia with tubes, 1xpg3 with tube. Going with xpg3 heat treated. 3 total w/ 3tubes 1 heat treated. nterested in the 219B (5000K) heat-treated version. Also the (coloured) 18650 extension tube as well. Put me down for 1 XP-G3 SS and a 18650 extension tube. Thanks! Can you put me down for 1 xpg3, 18650 extenion tube, heat treated thank you. Pre-ordered! Thank you for setting all this up! 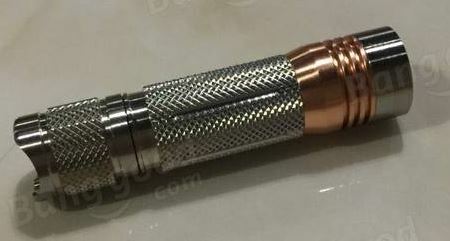 Astrolux S41S & S41S Colored Pre-order has Started! Edit: My apology for wrong pricing $42 $38 for Colored version. Can get 11% off if you use code 10annv11 For the anniversary. Any idea what the tint for the XP-G3 is going to be? The price was so good I had to get a plain SS and a colored SS one, each with a respectively matching extension tube. Thanks freeme for the groupbuy and Bruno28 for the tip! So… I dunno much about the different coatings. I THOUGHT (and I’m probably completely wrong, but wanted to ask) that the colored model was somehow a treatment applied to the stainless steel. However, the listing claims that the material is “Constructed from aero grade aluminum alloy Colored + Copper” on the colored version, with “HAIII military grade hard-anodized” coating. It also lists the weight as 90g without the battery. and also lists the weight as 90g. I think someone needs to check the listings, because now I’m confused. I got a silver and coloured too. And I went to try your code and they don’t allow now. It’s been marked as promo and you can’t apply codes to promo. Yeah, it looks like they caught it right as I was checking out. It worked on the two tubes and the colored SS version, but didn’t on the normal SS as I got $6.96 off. Before I started the checkout process it was showing $11.52 off in my cart. Ordered Plain SS Nichia + Tube. If I am not mistaken the $38 price is public, not just this forum. Also looks like the $38 price is only for the first 500 sold. Are the 18650 tubes available? I have taken some beam shots for you guys to compare with. I will post it up within half a day time. Ordered before the price goes up. Now the long wait begins. Is the Efest 18350 Purple a good battery for this? 10.5 amp discharge. Nice one thanks, ordered the enerpower bad bay. Going to be a long wait now for the light arriving. $65 and $70 is a long way from “~$38“. Am I missing something here? It seems a lot of people think $YY is a better price then. Though not cheap I find this cool enough to have ordered one with tube, thanks. 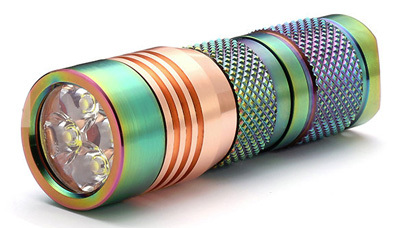 Pre-Order placed for a Nichia S41s colored and colored 18650 tube. I used their anniversary code 10annv11 and got an additional $0.99 off. Paid for my shipping insurance. Someone should try 10annv99 and see if they get 99% off…. – tried, didn’t work. Also won’t give the $0.99 off for me anymore. 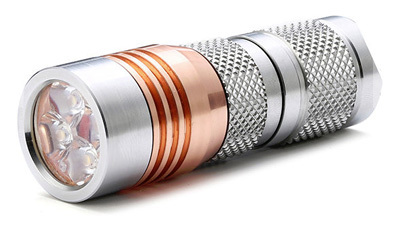 Ordered too… with 18650 tube. Comes to like $68 CAD with the 12% discount code 10annv12%.